Project Bridge was founded at Johns Hopkins University on February 2013. As young scientists that have experienced difficulty communicating our own research to friends and family, we carry out the vision of Project Bridge through the Graduate Student Association at the School of Medicine. In March 2017, we officially created our second chapter of Project Bridge at the University of Colorado, Denver. More information about the core of our mission is found below. A hard truth underlies comments like the one above. The American scientific establishment has done little to communicate the value of primary science research to the public, and most attempts rely on an ineffective model of advocacy that assumes correcting the public information deficit is sufficient to change attitudes. The absence of effective outreach threatens our nation’s technological innovation, as a lack of advocates within and outside science leaves research funding susceptible to budget cuts. Also, individual scientists have few opportunities to convey the implications of their research to those outside their field. Traditional academic training does not adequately equip scientists to confront these problems. To address both the inadequate public communication of our research and the lack of science-related community events, we founded Project Bridge. Our Theory of Change: A Theory of Change contains necessary building blocks to bring about a desired vision. 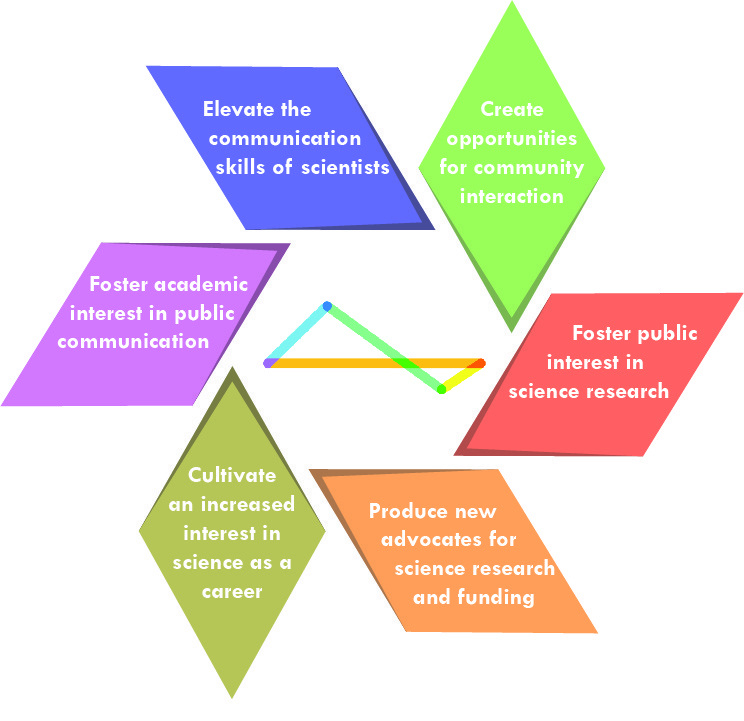 To reach our mission of fostering public interest in science research, we have mapped the necessary steps required to bring about our cyclical theory of change.